Brook and Rochelle honed their waxing and skincare skills over many years in a spa environment. Together, they opened WAX Nashville, in 2008, as a way to offer the best services and waxing techniques to the Middle Tennessee area. Their goal is to provide guests with the finest wax experience and customer service possible in a warm, inviting atmosphere. At WAX, we want you to feel like family and have a fun, clean, and professional experience. We believe our wax artists are the best in the business. Priscilla is a Chattanooga native who has lived in Nashville since 2010. She attended the Cleveland, TN Aesthetics school in 2004. During her down-time, Priscilla loves decorating, reading, binge-watching Netflix and entertaining friends and family! Priscilla’s Beauty Tip: Coconut oil is the best kept secret! It is a great moisturizer for all skin types and is a natural antioxidant, which is known to prevent aging and skin irritations. Zoe is a Nashville native. She received her aesthetician license from TCA TN. Zoe enjoys her physical activities such as working out and walking her dog! Zoe's Beauty Tip: Remove your makeup and wash your face every night. If you skip one day, it equals to 3 nights missed! Melanie grew up on a farm near Nashville in Cottontown, TN. 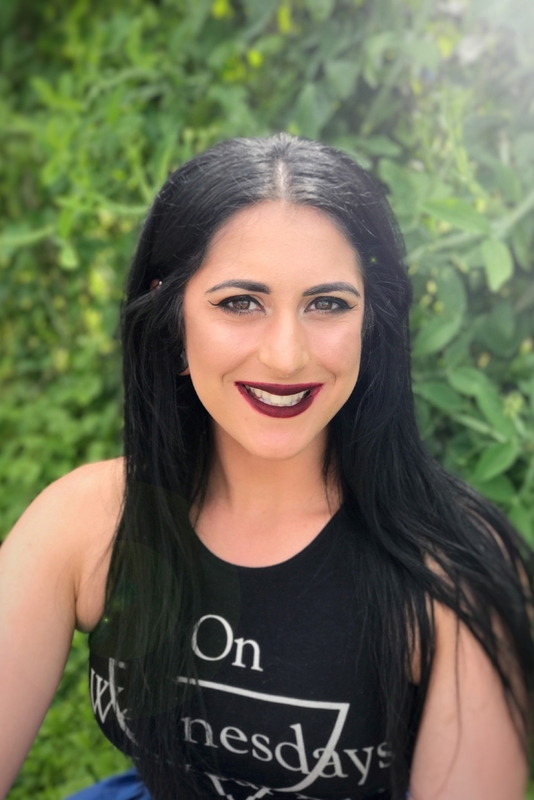 She received her aesthetician license after attending Tennessee Technology Center in Nashville, and is also licensed in real estate and cosmetology! When out of the shop, Melanie enjoys shopping at vintage and antique stores, naps, and a nice cup of coffee. Melanie's Beauty Tip: Be consistent. It pays off and makes your life easier. Practice makes perfect in all things related to beauty and health! Jessica is from California originally, but has lived in Nashville for the last 23 years. She received her license from the Tennessee Technology Center in Nashville in 2008. In her down time, Jessica enjoys watching Disney movies with her kids. Jessica's Beauty Tip: Never underestimate the power of bold lashes, and always wear mascara and concealer! Denise is a Nashville native who grew up in Madison, TN. She received her license from New Directions in Nashville. Outside of the shop, Denise enjoys good books, puzzles, and fine wine! Denise's Beauty Tip: Dry brushing is the best thing you can do for your skin and body. Mary is a Nashville native that received her license from The Salon Professional Academy in Donelson in 2014. Outside of the shop she likes to play with make up, sleep, and boop her dogs’ snoots. Mary's Beauty Tip: Exfoliating is the key to easy waxing and a flawless spray tan. Lane is a Nashville native. She received her aesthetics license from TCAT Nashville. She is also certified in makeup and lash extensions! Outside of the shop she loves to see live music around the city and binge watch netflix with all of her pups. Lane’s Beauty tip: The most beautiful makeup you can wear is glowing healthy skin! Skincare is not an expense, its an investment. Mary is a Nashville native that received her license from Volunteer Beauty Academy in 2013. Outside of the shop she loves thrifting, binge-watching documentaries and spending time with her cats and dog. Mary's Beauty tip: Step out of your comfort zone! Wear a crazy colored lipstick or wear your hair in a new way, beauty has no boundaries! Britney, better known as BB, is a Nashville Native. When she’s not being our resident Spotify DJ, shes taking your calls and doing spray tans! In her spare time she likes being in nature with a good book, watching classic horror films, or doing hot yoga. BB’s Beauty Tip: drink plenty of water, moisturize daily, get lots of vitamin D and keep it movin’!